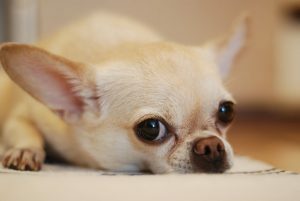 Chihuahuas are among the longest living breeds, perhaps because they are small. Their average lifespan is around 15 to 20 years, where these little guys provide you a long time full of adventures and wonderful memories. These soft balls of fluff have an average life expectancy of 12 to 16 years. This breed is a popular choice among dog owners, and fortunately for them, they bring along many years of love and joy. 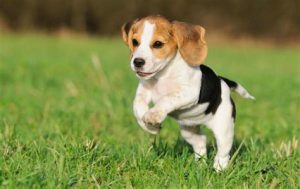 Beagles are known for their enthusiastic and mischievous personality, and to their owners’ relief, they also come with a long life expectancy of 15 years. The oldest Beagle, known as Butch, lived in Virginia and in 2009 died at the age of 27. This is a dwarf hunting dog breed that was used to fit into burrows and dens of rabbits and badgers. In the US, dachshunds have also been used to hunt prairie dogs. Today, Dachshunds are divided into two categories: standard and miniature, and they both come withan average life expectancy of 14 to 17 years. One of the smallest categories of terriers, the Yorkshire Terrier was initially used in England as a ratting dog. Though they are most normally used as a family pet, they are intelligent and active dogs that enjoy plenty amounts of play and exercise. Luckily, their average lifespan is 13 to 16 years. The oldest Lhasa Apso over history died at the age of 29 way back in 1939. This dog breed is known for being a good watchdog indoors as they tend to get suspicious of strangers. Like most, you probably may not have heard of this breed. Well, that is probably because it is the rarest dog breed in the world. This wild dog comes from New Guinea and is well known for its howl that sounds like singing. Today, only about 100 of these dogs live in captivity. Although they are thought to be the most aboriginal dog alive today, they are still friendly and gentle with humans. Toy Poodles may appear distinct from their larger counterparts, they are just as intelligent and easily trainable. These little fellows normally have a longer lifespan, with an average lifespan of 12 to 15 years. The oldest living Toy Poodle was Seamus, who lived to a whopping 20 years. The Lakeland Terrier is a kind of small English terrier that was traditionally used as a fox hunter. At present, they are still comparatively active working dogs but are not generally known outside their native location. The breed lives for 12 to 16 years on average. This affectionate, intelligent and active dog, despite its name, comes from the ranches of Western United States. They are also famous for their high energy levels, intelligence and herding ability, and fall on the larger side. 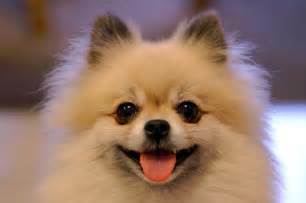 These fluffy and loving dogs also have an average lifespan of 13 to 15 years. And don’t forget, all of these breeds work great as therapy animals. Dogs can bring love, joy and meaning to your life when property trained and cared for!